Many international tourists want to explore the unique landscape and geography of New Zealand at their own pace. Many tourists even hire a fully-equipped campervan to experience freedom or wild camping during their New Zealand holiday. As New Zealand is a small country and sparsely populated, the comfortable motorhomes makes it easier for the visitors to explore some of the most popular tourist destinations and remote beauty spots in the region. However, some commercial campground operators have tried to confuse visitors about freedom camping. Despite changes to the law, freedom camping is still 100% legal in New Zealand. 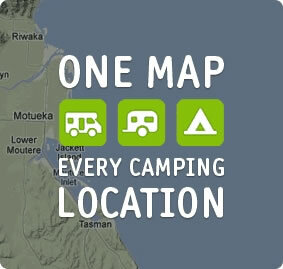 However, it is also important for the tourists to understand the New Zealand free camping rules. In New Zealand, each person of legal standing is eligible to move freely in any public spaces. The Bills of Rights also empower persons of legal standing to access any public space in New Zealand. Thus, each individual can park his motorhome overnight in any public space. The law, however, require the individuals parking their campervans overnight in a public space to obey the laws related to occupation of public land at any other time. The rules require the individuals to behave in a responsible way and keep the public land clean by not littering, causing any damage and disposing waste improperly. Also, the visitors must respect the rights of other individuals and avoid creating any disturbance. The local councils in New Zealand are allowed to restrict or prohibit freedom camping in specific public areas. However, the council must have specific reasons to mark a particular area as no-parking zone. So it is important for visitors to understand the rules and restriction imposed by the local council before entering a specific region. The international tourists can always avail the assistance of the campervan rental company staff to know the free camping rules in the region. Some of the popular motorhome hire Christchurch companies like Camperco also provide all the facilities required by tourists to enjoy hassle-free freedom camping. The company helps visitors in understanding how to enjoy the public places without breaking any rules.